It was past 10 in the evening when we arrived at Narendra Guest House. Our side trip to Uluwatu had taken longer — much longer — than I’d expected and we hadn’t been able to give notice that we would be checking in late, so I was feeling more than a bit guilty. Our host Made, however, was all smiles when he came out to greet us and help us with our bags. When we entered the family compound — for that is what Narendra is — we saw that his daughter had also stayed in the reception area to await our arrival, and she too was very welcoming. Check in was quick — except for the part when I thought I’d lost my passport and had to frantically dig through my entire bag — and we were then led to the guest houses at the back of the compound. I almost shouted “Halleluiah!” when we saw our room. We’d spent the previous two nights at a hostel in KL that was, if acceptable, nowhere near heavenly and I hadn’t slept well for two days running. 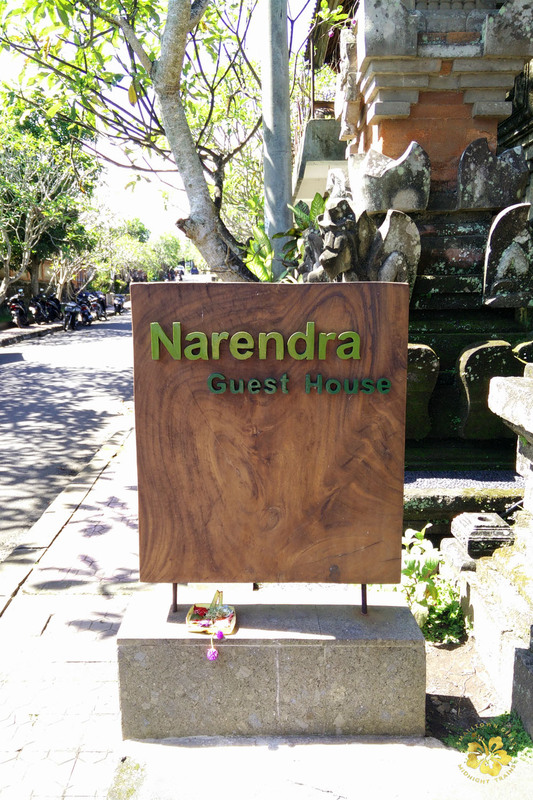 Narendra — cool, comfortable, and homey — felt like a refreshing bath after a hot, sticky day. After checking in with my family in Cebu, I immediately sank into a sound, dreamless sleep. What did I love about Narendra? I love that the compound, like many compounds in Bali, was so beautifully constructed that it actually looked a bit like a temple. The profuse foliage kept the walkways cool. And yet there was a part that was off-limits to guests, the area where the family said their prayers and made their offerings. I thought that was nice, that they found a way to continue with their way of life and not totally give in to the commercial aspect of running a guest house. I love that it had the comfort of a hotel, with the requisite amenities, and an attention to design and detail that obviously had all types of guests in mind. I love the free breakfast. (If you know me, you know I love me a good breakfast!) 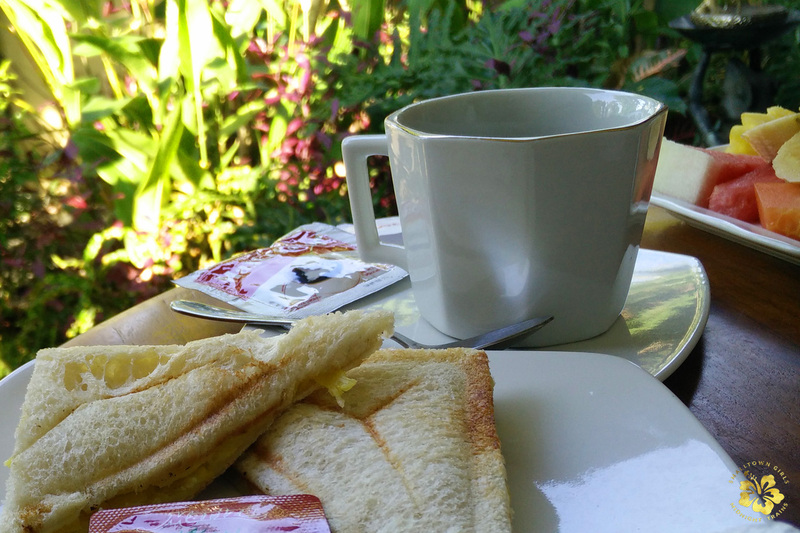 Every night, we chose what we wanted for breakfast the next day, and what time we wanted it, and it would be laid out for us on our balcony table at the appointed time. 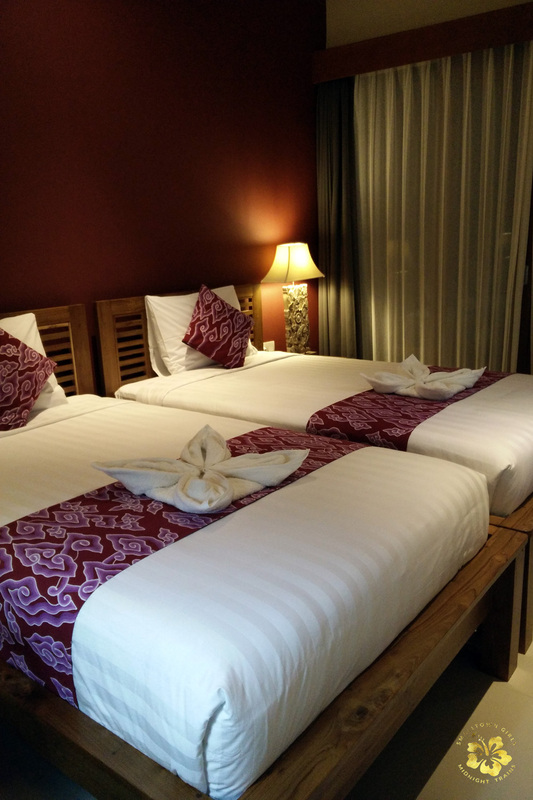 And, last but not least, I love the fact that we got all this — the ultimate Ubud homestay experience — for only IDR 300,000 (that’s just PHP 1,000 / USD 23!) a night. 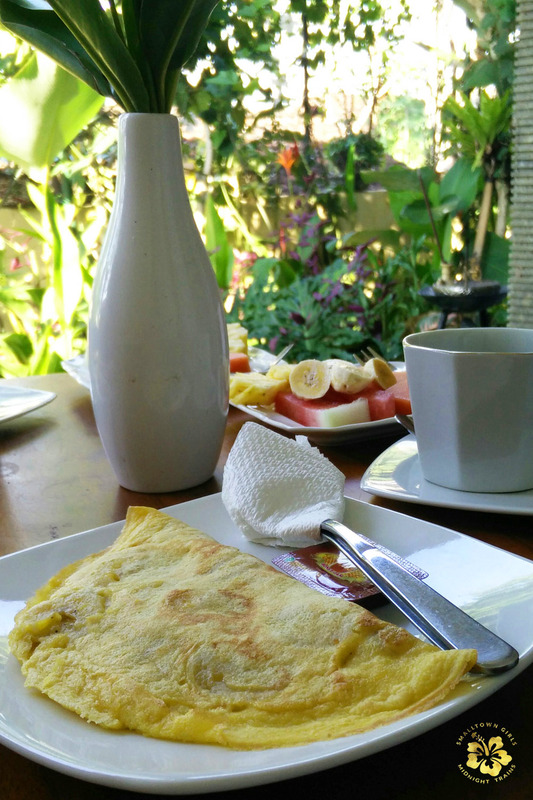 If you’re looking for accommodations in Ubud, look no further. I promise you won’t regret staying in Narendra Guest House. 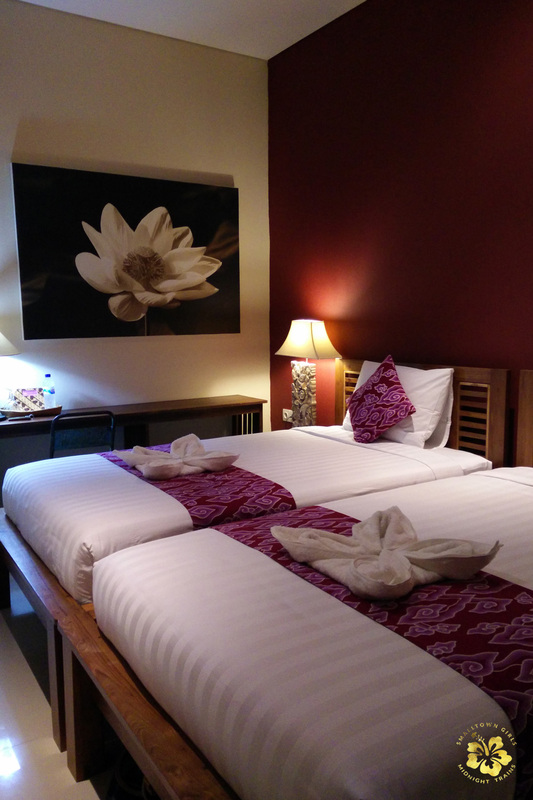 “Where to Stay in Bali: Narendra Guest House (Ubud)” was created by LSS for travel site Small-Town Girls, Midnight Trains. All rights reserved. This is a hostel?? looks like a hotel! natawa ako sa “Halleluiah!” part :)) that feeling of being a traveller but also you feel at home at the same time. Great post! It’s more of a homestay really. A B&B. Pero di ba, parang hotel talaga yung interior. I stayed here last summer. Just an amazingly lovely place – and they certainly could get away with charging more! Hi! I chanced upon your blog while doing research for my trip. I just wanted to ask if Narendra has a credit card facility available. I booked through Agoda and instead of charging the room on my account, they sent me an email saying my reservation is confirmed and that I have to pay for the room at the property.